The energy holding is gearing up to file lawsuits in international courts. 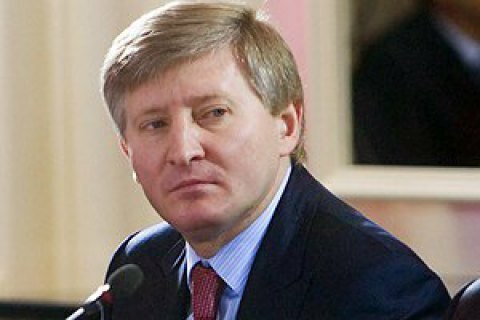 The DTEK energoholding owned by Ukrainian tycoon Rinat Akhmetov reported on 15 March the loss of control over all of its enterprises in the occupied part of Donbas. In a release on Tuesday, the group announced that its industrial assets located in the non-controlled territories of Donbas have been seized by the so-called "DPR" and "LPR" breakway republics. The press service of the holding said the executives of all its enterprises in the occupied part of Donbas "have received notices about the need to re-register their firms in the so-called DNR and DPR and start inventorying of property." "As of this time, DTEK does not control the operation of these enterprises. The Company considers the requirement to re-register our enterprises unacceptable. No form of pressure will force DTEK to change the jurisdiction of its assets," the press service said. The energy holding emphasizes the inability of these enterprises to work independently from the Ukrainian economy. "The enterprises operating in the uncontrolled territory are part of the unified Ukrainian economic infrastructure. The rupture of this production chain will make their work impossible, as the mines of Donbas have no other markets for coal. Work outside the legal field of Ukraine entails serious legal consequences for all buyers of products, and suppliers of equipment and materials for these enterprises. This amounts to a stoppage of this enterprises," the press service quoted DTEK's CEO Maxym Tymchenko as saying. DTEK says it will employ all available mechanisms to help those who lost their jobs and restore its control over the enterprises at the tubing. "DTEK will try to do its utmost not to leave our employees in trouble by offering the possibility of transfer and employment in other companies of the company. I hope that the international judicial system and the rule of law will allow DTEK to resume control so we could return to full-fledged work," Tymchenko concluded. On the fact of loss of control over its assets, the company appealed to all the law enforcement agencies, financial and tax authorities and state funds of Ukraine. The holding says it is going to attract leading legal companies to protect its interests in Ukrainian and international legal fields. On March 1, "DPR" and "LPR" announced the beginning of the process of "nationalization" of the Ukrainian enterprises, located in the territory, controlled by separatists.